You are invited to take a Sneak Peek at all that McGill's Faculty of Agricultural and Environmental Sciences and the Macdonald Campus have to offer! Events will be held in the Macdonald Campus Centennial Centre. Registration is now open. Inscrivez-vous maintenant. Please note that you must register separately for the bus tour of campus. This TedX-style event will give you the opportunity to hear directly from Macdonald Professors, from a broad range of disciplines in the Faculty, about their research that has applied societal benefits. Assistant Professor Olivia Wilkins will moderate the session. Macdonald students are difference-makers, and this is your opportunity to see their exciting and innovative work first hand. Meet, mingle and be inspired by some of our 2017/2018 award-winning student teams and meet some of our Professors as they guide you through their research. Kajou. Kajou is an agri-food venture that seeks to transform the cashew value chain in Côte d’Ivoire by bringing more value to smallholder farmers. Students who participated in summer internships through our Bieler Family Internship Office will also be on hand to share their experiences with you. Students from the Lister Family Engaged Science Initiative will talk about their experiences through this innovative program. 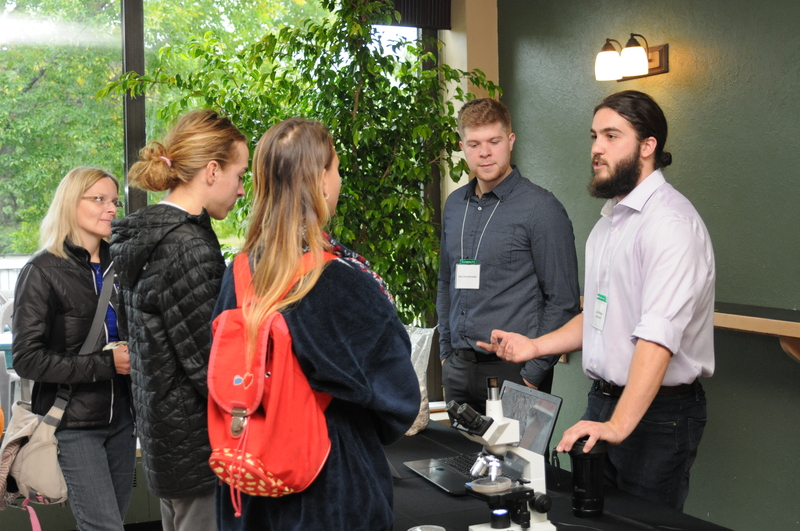 Award-winning students from the Undergraduate Student Research Award (USRA) Poster Presentations will share their summer research experiences. Meet Professors Jacquie Bede, Daiva Nielsen, Murray Humphries, and Jeff Xia, along with students from their labs. 11:00 – 12:00 - Representatives from the Student Affairs Office will be on hand to answer any of your questions about programs, admission, etc. No visit to campus would be complete without a visit to the Morgan Arboretum – Canada’s largest arboretum - and to the Macdonald Campus Farm. As the last working farm on the Island of Montreal, the farm serves as a living laboratory where scientific agricultural practices have been tested and taught for more than 100 years. It is home to an award-winning dairy herd and also produces all of the eggs and most of the seasonal fruits and vegetables used in McGill’s Residence Dining Halls. anna.duff [at] mcgill.ca (subject: Sneak%20Peek%20Bus%20Tour) (Register for bus tour by sending us an email). Please indicate NAME, EMAIL, and NUMBER OF PEOPLE. Visit the Macdonald Campus booths at McGill Open House on Sunday, October 21!